Home Fashion & Entertainment Chris Brown responds to Rihanna break up!!! Chris Brown responds to Rihanna break up!!! 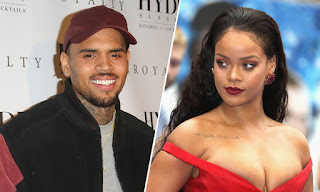 Chris Brown has responded after reports surfaced claiming Rihanna has broken up with her billionaire boyfriend, Hassan Jameel. According to MediaTakeOut News, the 'Wild Thoughts' songstress has called time on her rumoured relationship with the Saudi businessman because she "gets tired of men sometimes." "It was a good relationship, but now it's over," says a source, "Of course Rihanna broke his heart. That's what she does: break[s] men's hearts. Rihanna just got tired of him. She gets tired of men sometimes." The couple were first romantically linked in June 2017 after they were snapped getting cosy on holiday in Spain, and later photographed on a string of dates from Ibiza to London. Just hours after the alleged news broke, Breezy jumped online and followed the 'Wild Thoughts' singer on Instagram.